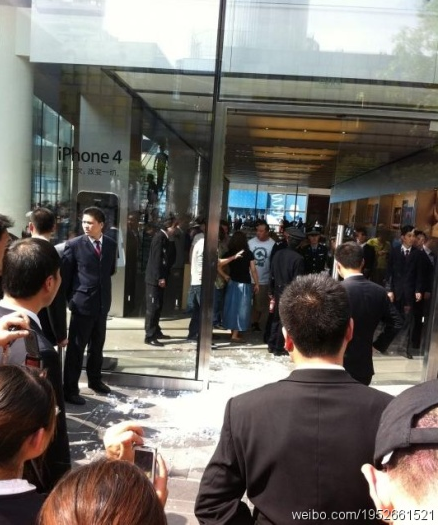 Disturbing images showing what appears to a bloody altercation at an Apple retail store in Beijing, China are believed to show a scuffle among iPad 2 customers and store employees. The Website MyChinaViews.com reports one day after the iPad 2 launched in China the Sanlitun retail Apple Store was forced to temporarily close on Saturday after an alleged conflict broke out between iPad 2 scalpers and Apple Store employees. Scalpers buy iPad 2 tablets and resell them for a higher price to different markets where the iPad 2 is out of stock or not yet available. Details of what exactly took place are sketchy because reports are based on Chinese language Websites. Much of what is being reported at this point is based on images provided by the site MyChinaViews.com. Apple Insider and 9 to 5 Mac originally picked up the story from the Chinese Mac site MacX and rely on the Google Translate tool. The account from MyChinaViews.com is in English, but is a poor translation. 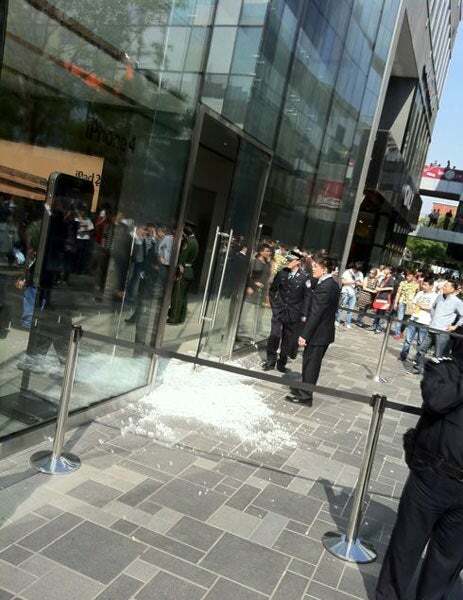 According to a report on the incident on MyChinaViews.com, four people were injured and taken to the hospital and a glass door at the store was broken. It's important to note that it's hard to pin down what exactly happened at the store. MacX says the information is not confirmed and is "difficult to distinguish between true and false." Images seem to tell most of the story. All the following images are courtesy of MyChinaViews.com.